This post may contain affiliate links that, if used, offer a tiny commission for me. And for an extra bonus, you can sign up here to get our FREE Perfect DIY Formula for Delicious and Nutritious Green Smoothies! Probiotics are a big thing nowadays, but with good reason. Studies show that consumption of probiotics can help to improve digestion, balance gut flora (they don’t stay, but they can out compete the bad guys), and help control yeast and bacterial overgrowth. I like to use natural sources, but opening up a capsule or two and pouring it into my smoothie is also great! Probiotic Supplements: Custom Probiotics, MegaSporeBiotics, Probiota HistaminX, Integrative ProFlora.. Precaution: Do not add these if you have SIBO, candida overgrowth or have noticed intolerance while taking probiotics. Use fermented foods instead if you can handle them! Buy organic in season locally if possible. Cucumbers are an understated veggie that has some terrific benefits. 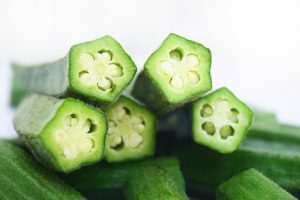 Both cooling and hydrating, cucumbers are often used in detox recipes. They contain plenty of potassium, B vitamins and fiber as well as antioxidant nutrients. They are used medicinally for pain reduction, as a diuretic, and in anti-acne lotions. Benefits include: boosting heart health, improving digestion, helping hydration, reducing effects of stress and anxiety, and having anti-inflammatory affects. 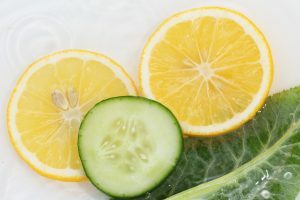 Lemons are well known to be loaded with vitamins, especially Vitamin C, a powerful antioxidant, and flavonoids, which contain cancer fighting properties. They are also used frequently as a digestive aid and for just about every detox program known to man! It is also used medicinally to prevent diabetes and treat fevers and colds. This humble little sour fruit can be a great addition to your smoothie with additional benefits such as improving digestion, reducing blood pressure, eliminating kidney stones, improving skin, hair and teeth, containing antiseptic properties, and possibly soothing respiratory disorders. Ginger. Yum! 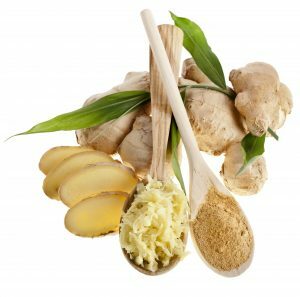 Aside from adding some delicious bite to your fruit and veggies, ginger root is an adaptogen, revered in history for multiple medicinal purposes throughout many cultures. It contains chromium, magnesium and zinc, (among others), which makes it great for blood circulation, cold and flu remedies, and cancer prevention. It is also great for motion and morning sickness and easing general stomach upset, is a wonderful immune booster and is even a powerful anti inflammatory pain reliever. Oh, and did I mention that it can also be helpful for detoxing the body? Dark leafy greens are full of fiber, vitamins, minerals and antioxidants, some of which haven’t even been discovered yet! Some of the benefits include digestive support, immune support, lowering cardiovascular risk, helping build strong bones, and can even reduce cancer risk! Our guts are full of both friendly and pathogenic bacteria (among other things). Consuming PREbiotics can not only help to build the friendly flora, but can also promote immune function, digestion, and helps lower inflammation. Precaution: If you haven’t done a lot of fiber, start with small amounts. Try 1/2 teaspoon to start and build up over a couple weeks, based on tolerance. 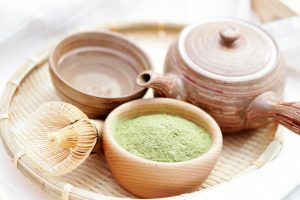 Matcha, the highest quality green tea available, has been increasing in popularity lately, but has been around for thousands of years. It is typically found as a stone ground green powder that has been stored carefully away from light and oxygen in order to maintain it’s brilliant color and high antioxidant levels. Matcha tea is energizing, cancer fighting, anxiety reducing, memory and concentration enhancing, immune boosting, and metabolism sparking. 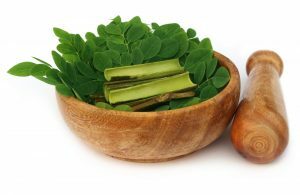 Moringa trees have been called the magic tree because of the ridiculous amount of benefits. The leaves, often consumed in powder form and rich in antioxidants, contain protein, fiber, B6, Vitamin C, Iron, Magnesium and more! Benefits include boosting energy, promoting glowing skin, increasing immune function, reducing stress, and improving digestion. Aloe Vera is well known for being used medicinally for burns and other skin disorders. However, it can be consumed as a supplement. Aloe contains antioxidants, B12 and folate, minerals and 20 amino acids, including 7 of the essential 8. While the science is not conclusive, some benefits have been shown. They include reducing inflammation and balancing blood sugar. It also has the potential to be a laxative so can be helpful for constipation. 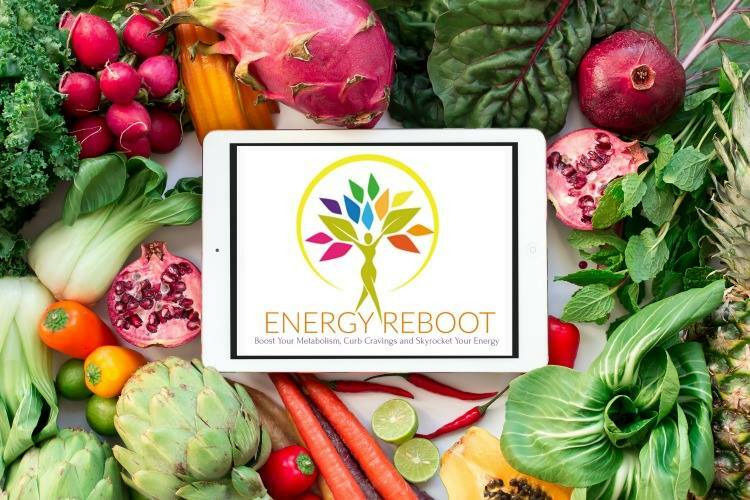 Using these and many other delicious recipes, I partnered with Amy from RealFoodWholeHealth to put together a fabulous Energy Reboot for you! 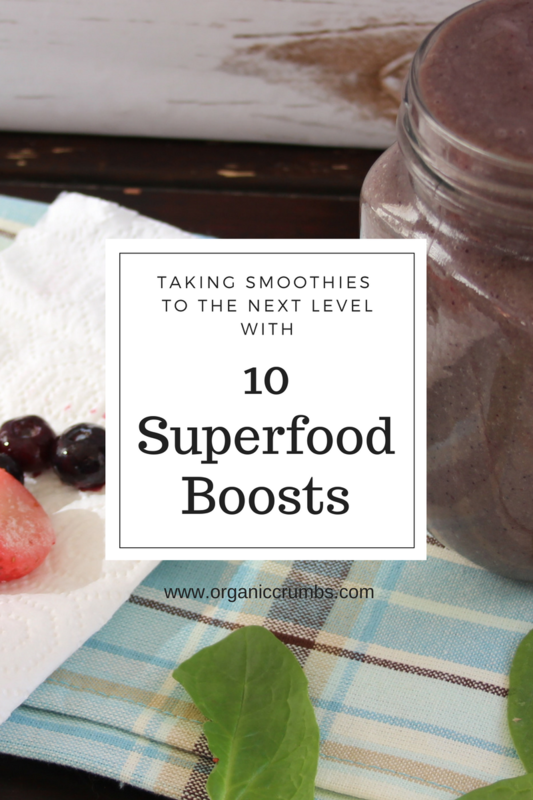 For information on our Energy Reboot which uses some of these great smoothie additions, click here!